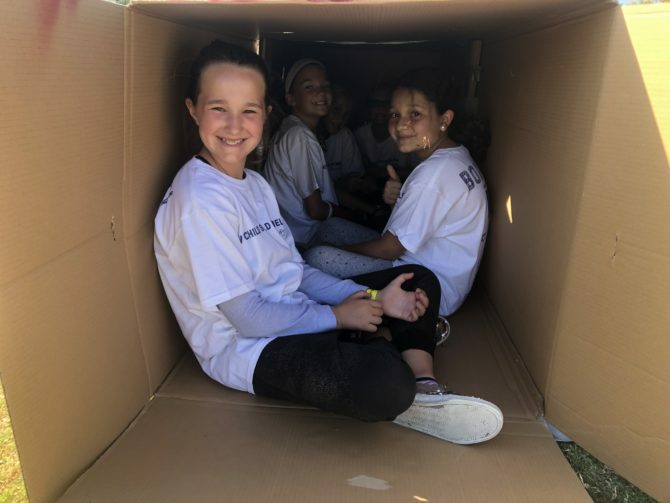 Saturday, September 29, 2018 brought a light breeze and near-perfect weather to Heritage Park in Valencia for Family Promise’s annual signature fundraiser, Box City. 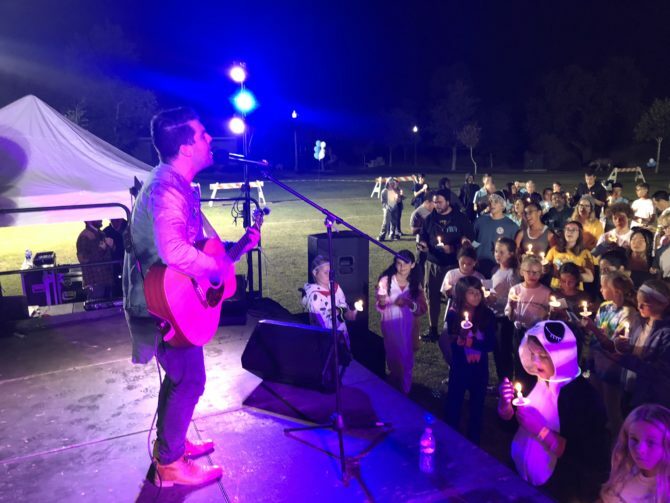 Hundreds of participants and volunteers filled the park to enjoy an day–and night–of music, box-building, raffle prizes and games. Thanks to generous support from community sponsors, partners and donations, Family Promise was able to bring in over $75,000 from the event. Those funds will go directly to support the non-profits efforts to assist local homeless children and their families. 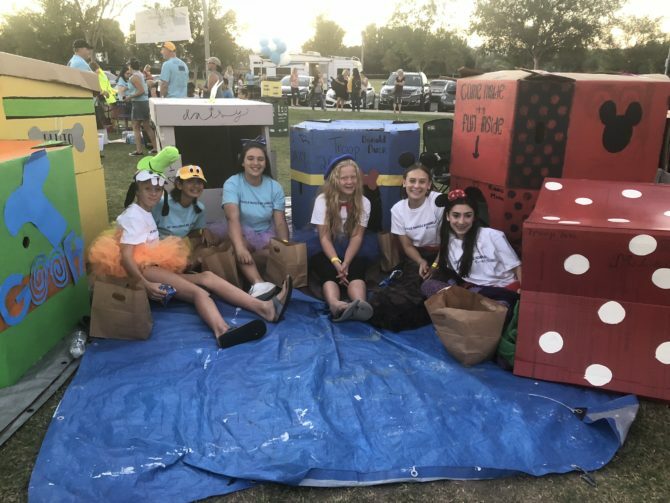 Box City is intended to raise both money and awareness for Family Promise and the work they do in the Santa Clarita Valley. Participants spent the night in cardboard box “homes” to simulate what it might be like if that was the only option they had. Although the weather during the day was beautiful, the night was cold and overnight dew created some soggy cardboard and a few squishy boxes. Despite the conditions, Box City “residents” woke up with smiles and enjoyed hot cocoa, bagels, muffins for breakfast. One of the participants, Ireland Ramirez, raised the most money for the event and was named Mayor of Box City. 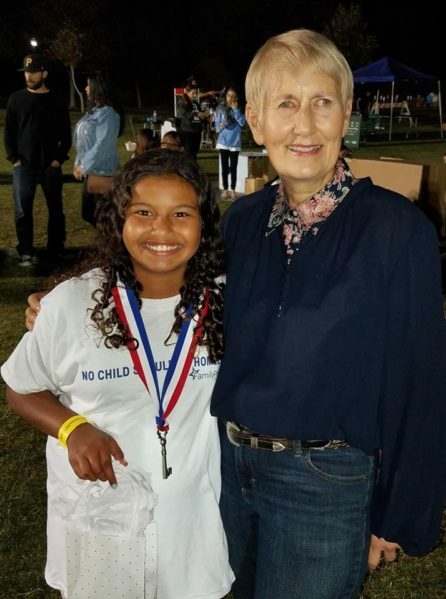 Real-life Mayor of the City of Santa Clarita, Laurene Weste, was on hand to present Ireland with a prize and the “Key to Box City.” Ireland and her dad also won one of the prizes for best box design. The highlight of the evening was a performance from musician John Stratton and a testimonial from the Davis family, a formerly homeless family who successfully graduated from the Family Promise program this past summer. Their personal story underscored the important work being done by volunteers, congregations, businesses and Family Promise staff 365-days a year.